We have shown lots of cars built as “what ifs” or “one of none” factory combinations here on BangShift over the years, especially never made wagons. 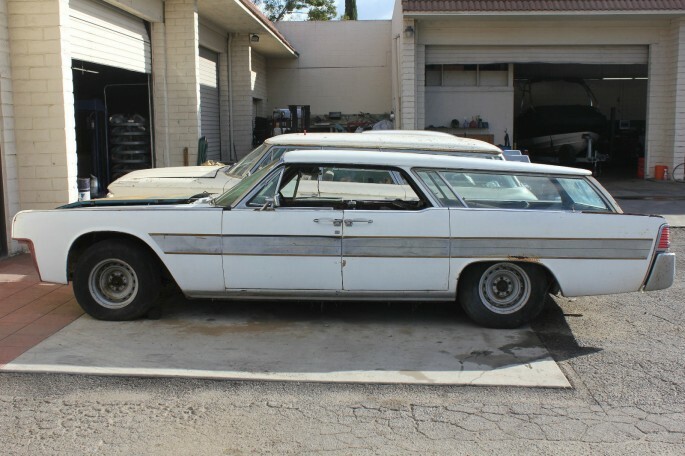 These wagons range from the weird to the totally sublime but in the case of this 1962 Lincoln Continental station is completely awesome in our opinion. The car was built a long time ago judging by the amount of patina and rust that you’ll see in the photos, making it even neater. 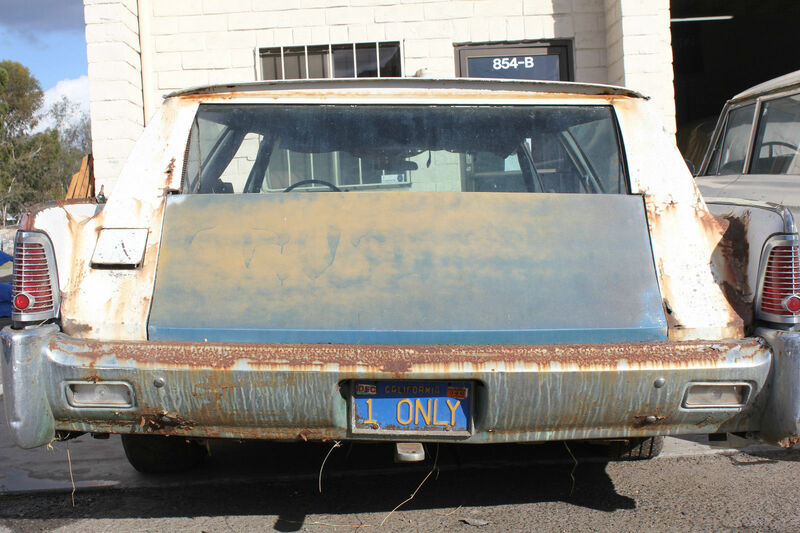 After seeing the blue California plate on the car (make sure you check out what it says) Chad seems to think it may have been done in the early 1970s. According to the eBay ad, the roof is aluminum and the car itself started life as a convertible. The lack of a b-pillar along with the signature suicide rear doors on this car all add up to show stopping vibe. Honestly, we can see this thing painted black with all the nice chrome and stainless back on it and absolutely slaying at any car show or event it shows up to. The quality of the roof is so good we have to wonder if the car was originally built as a demo or show piece for a company. Whoever commissioned the thing to be built back in the day must have had some dough to throw around as this is certainly no hack job. You’ll see in the photos that the car is in need of some heavy duty TLC, but nothing looks to be terminal (as best we can tell). Yes, it would require an investment of time, skill, and money but you’d end up with the only one on Earth (we think). 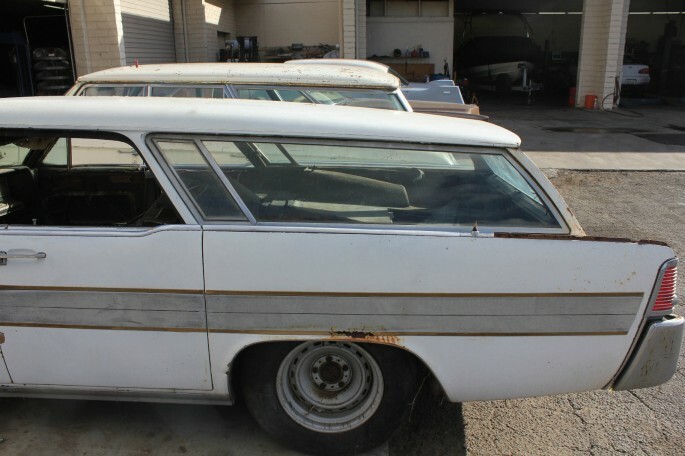 The wagon is being sold as a pair with another Lincoln that was bought as a parts car to aid in getting it back into shape. The parts car may actually be more solid than the wagon but it lacks the wild station wagon roof. We’re not even going to venture a guess as to what the rear glass was repurposed from but we think that some eagle eyed reader out there in the vast land of the BangShifters will probably recognize it right off the top of their head. Call us crazy but Chad and I think that this car is 100% awesome and more importantly 100% BangShift approved. C’amon….someone out there NEEDS this car and it needs you. Save it and then give us a lift when you’re done! Thanks to Tommy for the tip! SCROLL DOWN TO SEE PHOTOS AND THEN HIT THE AD LINK TO SEE A TON OF PHOTOS AND MORE INFO!